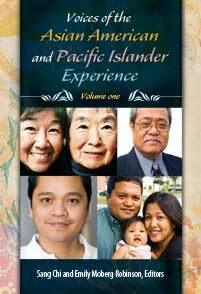 An extraordinary breadth of contemporary and historical views on Asian America and Pacific Islanders conveyed through the voices of the men and women who lived these experiences over more than 150 years. In 1848, the “First Wave” of Asian immigration arrived in the United States. By the first decade of the 21st century, Asian Americans were the nation’s fastest growing racial group. Through a far-ranging array of primary source documents, Voices of the Asian American and Pacific Islander Experience shares what it was like for these diverse peoples to live and work in the United States, for better and for worse. Edited by Sang Chi and Emily Moberg Robinson, Greenwood, (February 2012).